What Motivates You? – Go Deep on Motivation for 10x Results! Are you motivated by enjoyable tasks or by recognition of others and money? Motivation is a fascinating subject and is something you may not have paid much attention to or given much thought. However with a better understanding you could 2x or even 10x your results just by knowing how to cultivate motivation that works for you. Read the three part motivation series in its entirety right here in this post below, and then download the free motivation exercise in PDF. 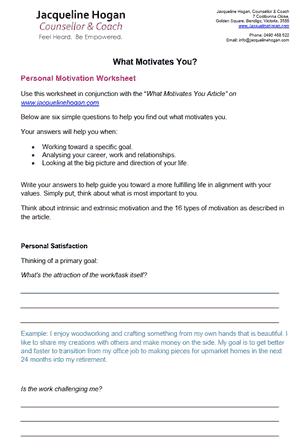 Answering the questions in the PDF for your top goals will shed light on how you are motivated to achieve your goals. Why are you motivated to achieve it? Is it really going to bring you the rewards or satisfaction you crave? Find out by downloading and completing the questions for ‘aha moment’ insights. Part 1 – What Motivates You? 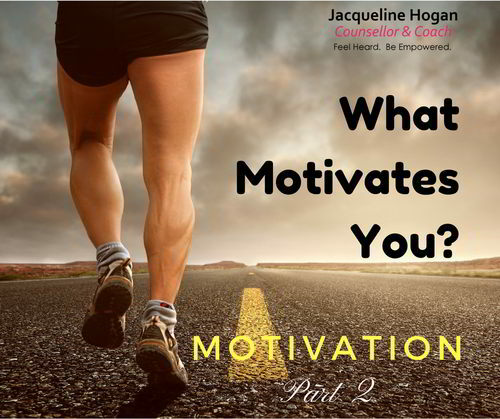 What motivates you?… Do you instinctively know the answer? 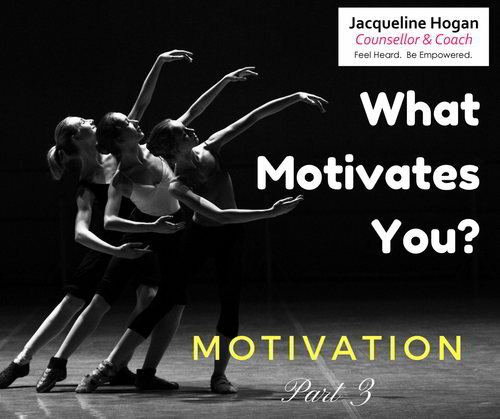 In this 3 part post lets unpack motivation a bit more so you KNOW what motivates you. If you know what motivates you – you can achieve your goals sooner. Get better results at what you are doing, and this sense of achievement obviously leads to satisfaction, progress and happiness. Ok – What is motivation? So at some point you decide that it’s easier to take action and go to the gym than to sit on the couch complaining of your unfit state and lousy mood. At some point it’s easier to feel awkward and cold call clients than to feel disappointed and fearful of having no money. At some point we reach a mental threshold and make a judgement about what to do. This may come after a period of procrastination and putting off the task. It then becomes more painful to not do the task, than to actually do it. It turns out, and you may have noticed in your life that you don’t need much motivation once you’ve actually started. Nearly all of the friction of a task is at the beginning. After you start, progress and a desire to complete the task occurs more naturally. So it is often easier to finish a task than it was to start it in the first place! 1. Remove or reduce the need to make decisions, and streamline the process to get started. If you waste brain power and resources trying to decide when or where or with whom, you will impede your ability to get started. 3. Final tip for today – Have the tools and resources on hand ready to go. Eg, runners out, water bottle filled. Or a nice clean, quiet space to work in to write that sci-fi fantasy novel! Part 2 – What Motivates You? In part 1 you learnt how getting started is the key to cultivate motivation. I also shared with you 3 neuro tricks to actually get started! Lets keep pushing now that we have made a start, and look at the power of rituals for motivation. Rituals in this context can be thought of as many habits combined, and repeated, often. Something I teach in my programs is how setting new habits changes behaviour – that changes old unhelpful thinking patterns. This change strengthens and builds new neural pathways in your brain. Following a ritual and a schedule, you can be more efficient, consistent and cultivate motivation at the same time. Many of the world’s great artists / sports stars and successful people follow a consistent schedule. You can too. A real world example is having a ‘warm up routine’ for your gym session. You might practice a series of drills or manoeuvres if you’re into sports. Singers might go through a vocal routine too. Have a think about what routine you can apply for your goals. Be it for work, career aspirations or personal goals… Experiment and see what works for you. You may be surprised that you are already doing a routine and you just don’t realise. With this new awareness, streamlining your rituals will improve efficiency (less brain power needed) and lead to better results. What about when motivation fades? Urgh. We all know that feeling. Check out these 3 neuro tips to avoid quitting. 1. Take a break and don’t let tiredness make you throw in the towel. A short rest is a great way to renegotiate a block or come up with a new idea to tackle a challenge. 2. Finish tasks and steps at a point where its easy to pick up next time. If you finish a whole section of work and don’t start the next stage, it can be difficult to get started again. Bonus tip: Visualise the end result. Remind yourself how you will feel: Happy, proud, satisfied and sense of accomplishment. 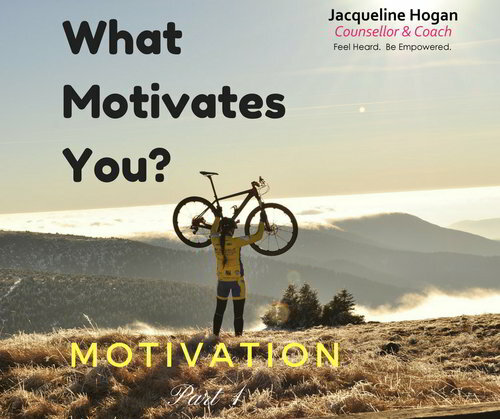 Knowing what motivates you will allow you to set your environment up to be supportive, rewarding, challenging and motivational. Part 3 – What Motivates You? Is it F E A R? … Or the need for acceptance… Perhaps its the desire for power? Is it intrinsic or extrinsic? That is, are you motivated for a reward / recognition, or are you motivated by a yearning inside of you? Understanding the above can help you shape your environment to succeed and ensure your goals are in alignment with your beliefs and values. Intrinsic motivation is driven by your own personal interest. The desire to do something is inside you. You do not need a reward. You are satisfied by completing the task itself. It makes you feel happy, proud and competent. Extrinsic comes from outside of you. This can be a reward such as money, power and recognition. The task itself may not provide pleasure or satisfaction. Think about your top goals – are you motivated to achieve them by intrinsic or extrinsic factors? There is no right or wrong answer, and everyone is different. What categories stand out for you – that are a driving force behind your actions, behaviour, thinking and progress? With careful use, fear can be a good motivator; to motivate others, and for yourself, however it can be detrimental if used often / too severe – that could lead to burnout, stress, negative self-talk and depression. With new insights and some small adjustments you will be well on your way of staying motivated and achieving goals that will get YOU where you WANT to be! Download the free 3 page motivation exercise in PDF. Answering the questions in the PDF for your top goals will shed light on how you are motivated to achieve your goals. Why are you motivated to achieve it? Is it really going to bring you the rewards or satisfaction you crave? Get Your 3 Page Worksheet for ‘AHA Moment’ Insights! Where Should We Send The Worksheet?